Welcome to our Call of Duty Black Ops 4 Operator Mods List. You can view the Best Operator Mods in COD BO4 for each weapon type, like Snipers, Assault Rifles, and even Shotguns. Black Ops 4 Operator Mods are only attachable to certain weapons and can only be accessed while using the Operator Mod Wildcard. 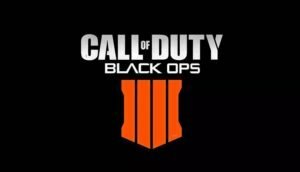 List of Call of Duty Black Ops 4 Operator Mods list for each Weapon Type. Vapr-XKG Bayonet A lethal melee attack with a short lunge range. Maddox RFB Echo Fire Firing blowback system shoots each other bullet at an increased rate of fire. GKS Quad Shot Converts weapon to fire a 4 round burst. Also increases damage falloff ranges. Spitfire Wild Fire Extremely increased fire rate. The hail of bullets increases weapon recoil, and slows movement speed while aiming and firing. Cordite Belt-Feed Adds an extreme amount of ammo is continually fed to the weapon. Weapon may overheat from prolonged firing. Saug 9mm Dual Wield (Simultaneously wield a Saug in each hand). Auger DMR Double Tap Converts this weapon to a 2-round burst. ABR 223 Repeater The delay between bursts decreases the longer the trigger is held. Swordfish Pentaburst Refitted burst mechanism adds one bullet to each burst. Also provides additional ammo. Titan Oppressor Suppress enemies near your bullet stream. Koshka Strelok Precision accuracy while entering ADS. Strife Tactical Knife Lethal melee attack. Mozu Skull-Splitter Headshots are always lethal. MOG 12 Dragon Breath Incendiary ammunition inflicts the wound status effect.